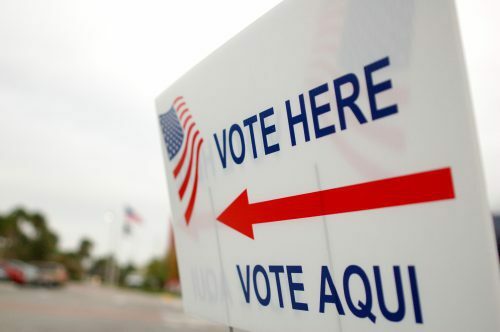 Early voting starts today and all this week, we’ll take a look at the elections and issues at stake throughout West Texas. 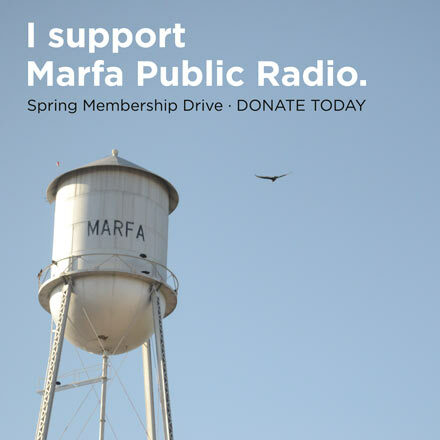 Today we turn to Marfa, where last week candidates for City Council, the school board and mayor met to address locals. At the end of the forum, candidates for mayor sounded off on a range of local issues. At a public forum last week, more than 100 Marfans packed into the historic U.S.O building to hear candidates for mayor present their platform and answer audience questions. Genevieve Bassham, Ann Marie Nafziger and Lineaus Lorette all took turns to address the issues the city faces. And at the heart of these questions was one central theme: development. The first question centered on parking throughout the city. Basham — a current city council member — said parking problems weren’t just confined to downtown, or the post office, but were an issue throughout Marfa. She mentioned the parking committee that’s been established to look at potential solutions. “Like i say, it is a problem. We need to do something about that problem and we are really looking into that,” Basham answered. Nafziger said was looking forward to the results from the committee, but also said she’s in favor of an ordinance that would reserve spots for community members. Lastly, Lorrette said the city would need to look at bulldozing and clearing out nearby areas — like a portion of Sunset Park, just behind the post office — to make room for more parking. The next question to center on development asked of affordable housing, namely how the candidates would go about providing that. Nafziger was first to answer and said the city needed to take a lead on creating affordable housing because not having any affects the local economy. Basham said in the immediate, the city can create a committee to look at affordable housing options and apply for grants. Lorrette said the issue wasn’t so much affordable housing — but zoning. The last question of the night was about fixing the town’s streets and potholes. Lorrette said the streets would need to be inventoried and evaluated. And that a master plan would have to be created. Nafziger said there IS a plan that’s already in place and has inventoried the streets. She also noted that the city has received a grant to fix streets in areas of low income. Basham touched on the efforts the city has taken to fix streets, and added that sooner or later you’ll see the fruits of that labor. Early voting continues until May first. Election day is May 6th. This entry was posted in KRTS News, KXWT News and tagged Early Voting, TX Decides. Bookmark the permalink.